Home » News » New Epic Weapon Carnival will start! 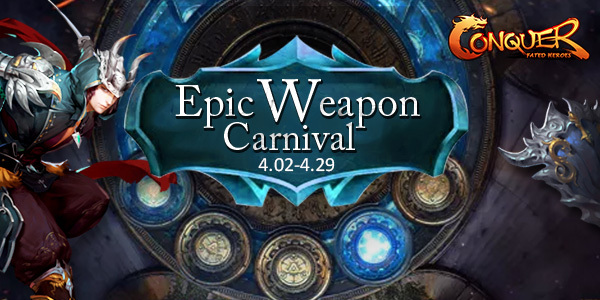 New Epic Weapon Carnival will start! From April 2nd to 29th, heroes can get epic spirit by participating in the event. Attention, heroes also can get pirate epic weapon item in this event.